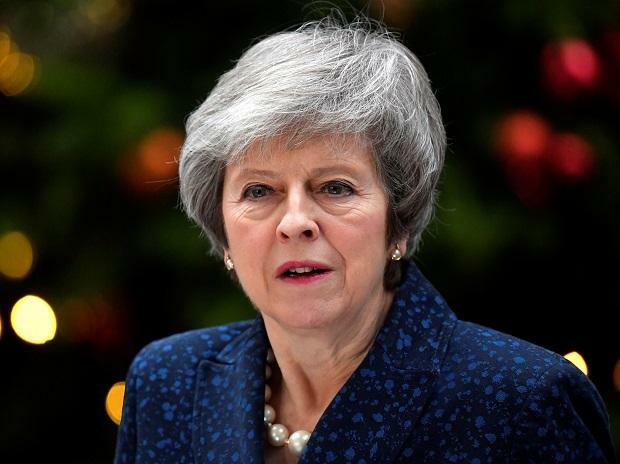 Rebuking MPs for having "indulged themselves on Europe for too long", she said that the British voters "deserved better"
British Prime Minister Theresa May wrote to the European Council on Wednesday seeking a "short" delay to the March 29 Brexit Day deadline until June 30 in order to attempt to get her withdrawal agreement voted through UK Parliament next week. Addressing the weekly Prime Minister's Questions (PMQs) in the House of Commons, May said she is not prepared to delay Brexit any further, triggering speculation that she could even step down rather than allow a long delay to the Article 50 Brexit mechanism. "As Prime Minister I could not consider a further delay beyond 30 June," she said at a highly-charged Parliament session. Rebuking MPs for having "indulged themselves on Europe for too long", she said that the British voters "deserved better" and rejected calls for a longer delay to Brexit because she wanted to avoid the UK taking part in European elections in May, which she said would be an "unacceptable" three years after the UK voted to leave the European Union (EU). It was followed by an urgent debate in Parliament, with Opposition Labour Party pressing for further details about the PM's intentions and demanding that any delay is long enough to allow MPs to "break the impasse and find a way forward". Labour leader Jeremy Corbyn accused the government of leading the UK into "crisis, chaos and division". On the EU side, European Council President Donald Tusk made it clear that the other 27 members of the economic bloc would agree to a short extension until June 30 only if MPs voted through the withdrawal agreement that had failed to clear the Commons in two votes due to the controversial Irish backstop. He told reporters in Brussels on Wednesday that a short Brexit extension is possible but it is conditional on a positive vote on the withdrawal agreement in the House of Commons. The question remains open as to the duration of such an extension. Prime Minister May's proposals of June 30, which has its merits, creates a series of questions of a legal and political nature, he said. The EU is set to consider the issue at a two-day European Council summit in Brussels starting Thursday, to be attended by May. The UK is legally bound to leave the EU on March 29 unless a delay is agreed by the EU and the corresponding law is changed in the UK in time. May, who has been holding urgent meetings with groups of Cabinet ministers and MPs, warned that an extension beyond June 30 would not "take no-deal off the table" if an agreement had still not been reached. Her plan to hold a third vote on the withdrawal agreement this week was blocked by Commons Speaker John Bercow, who said it would break longstanding conventions preventing MPs from being repeatedly asked the same question.